Died Creator of the famous program “Wait for me”. The Creator of the television program “Wait for me” the Russian journalist Sergey Kushnarev died in Moscow at the age of 54 years. It is noted that on 31 January the journalist was hospitalized with a second stroke. 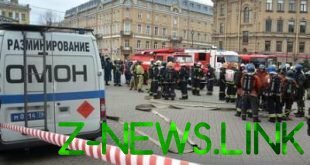 Then his condition was assessed as severe, in intensive care Kosareva brought already unconscious. Except “Wait for me” Kushnerev created the program “the Last hero”, and in the mid-90s along with his colleague at the “Komsomolskaya Pravda” Dmitry Muratov founded the “Novaya Gazeta”. Kushnerev later took the post of editor-in-chief of a broadcasting company “the KIND” which he held for 19 years.